Conner nodded, as if it needed some form of confirmation. He'd been taking whatever work he could get with the Team and the League. Which, lately, amounted to light work where he couldn't get hurt by the mundanes he was pretending to be one of but he wouldn't be pitted against people that certain others were better equipped for. And he hated every patronizing second of it. It was just all he was gonna get while he was third string. He glanced around unconcernedly when she asked her question and shrugged. "A change in routine for me. Most of them either don't think about members of the Team or only notice the ones destined to replace the founders." Supergirl, Wondergirl, Robin or Nightwing, Kid Flash (formerly Impulse), Miss Martian, and Aqualad. Aqualad was a bit of a presumption, since Aquaman wasn't one of the founders but rather one of the first recruits after the founding, but with the original Green Lantern having long since left and his seat having been held by a few others over the years it was considered the wild card seat in the minds of most. He blinked at the swat and pulled a face at first. "Oh... I guess I'll answer whatever questions they have, if they feel the need to ask." Conner didn't have parents to tell, he didn't ask for permission or run things in his life past others to see if it was ok. He lived on the Kent farm, Mrs. Kent fussed over him sometimes and he helped Mr. Kent enough that the man wouldn't hurt himself. He was getting on in his years by human standards, Mr. Kent, and Mrs. Kent fussed over her husband more than anyone else. "I'm five years old, every woman is older." Artemis smiled, taking Conner's hand in a moment of pure unselfconsciousness. She wondered whether she had ever been this open with Wally. She decided not. "I don't think it's the change in routine," she grinned, her eyes sparkling. Her voice dropped, low, teasing, husky and sensual. "I think it's maybe that we don't often eat together when it's obvious that we can't keep our hands off one another." Conner's bitterness at being lower down the pecking order was clear, and Artemis gave his hand a squeeze. Aside from the undercover assignment, since she had returned to the Team she had been largely supplanted by some of the new arrivals, so she knew how he felt. Thing was, he found it hard to make a niche for himself. At least her skillset was something singular, and she was either needed or she wasn't. Conner, though, until he found his true place in things, would forever struggle. She gave Conner a soft smile, running a thumb over the back of his hand. Artemis knew that the Kents were the closest thing he had to a real family, and their opinion would count for him. "They'll ask," she chuckled, taking a sip of her hot chocolate. "They always do. It was obvious that Mr Kent loves you like his own son, you know." She wished that she had had that kind of love from her own father, but the less said about that, the better. Artemis laughed. "I guess you're right. It's a big age gap, you know." Her voice was teasing. "How are you ever going to cope?" "Heh, that's kind of a change in routine too. They got used to me sitting alone, being touched by no one." Conner grinned, having stopped paying attention to them even though he was talking about them. They weren't important anymore, certainly not as he looped his arm over her head and around her waist to pull her close and kissed her behind the ear. "This too, shall become commonplace in time." He touched his forehead to the top of her head from the side as he spoke into her ear, the sound of contentment in his tone. Conner mused for a long moment, grinning at the thought of the Kents. They really were some of his favorite people. They'd been through this stuff before, and they were genuinely interested in him beyond what he was or wasn't to the world. He'd come to care for them a great deal, if not love. "No, Martha will fuss over things at the peripheral of my attention muttering to herself until I finally give in and ask her what's wrong. Then she'll tell me 'I just worry about you, Conner. What are you and that girl up to?' Then she'll swear she thought you were a good egg the moment she laid eyes on you, pretending she never claimed to be worried as long as I don't bring that bit up again. Mr. Kent will say something like 'honestly, Martha, leave the boy be.' Then wink at me from around his newspaper." Cope? "I'll do my best to hide my coloring books and legos under the bed whenever you're coming over." His grin said everything that needed to be said about that comment. Artemis knew how Conner felt. She had been more of a loner since Wally's death, with many people not knowing what to say, how to talk to her, and, as such, left her alone. Conner, though, had had no such reservations, sliding back into the role of friend, just as he had always been. For that, she had been grateful, and now that it had developed into something more... well, she couldn't be happier. Accepting Conner's affection with a smile, and not caring who saw, Artemis dropped a kiss onto his shoulder. "Do you think M'gann is going to be okay with this," she asked, almost fearful of what her friend - and Conner's ex-girlfriend - would think. Ever since M'gann and Conner had broken up, things had been strained. She hoped that this wouldn't make things even harder. Conner seemed largely unconcerned about what the Kents would say, and Artemis let a hand stray onto his knee, giving it a reassuring squeeze. "You think Mrs Kent will have reservations, though," she asked, feeling a little worried now. The last thing she wanted would be to disturb the relationship that Conner had with the Kents. Mr Kent, though... well, he had looked as though he knew what was going on anyway, before it had even started. Maybe it wouldn't be so bad. Conner smiled fondly when she kissed his shoulder, snugging her with his arm. To hell with the world, he had what he needed right there. And then he put on the patented Superman face, it was genetic, that they were when trying to look unreadable. In this case Conner was trying to hide the disdain for the subject of the question. "I try not to worry about what M'gann thinks about my life, she opted out of that circle of concern a long time ago and didn't seem all that concerned with the loss." Well, at least his face was implacable. His feelings on what M'gann thought were clear. He didn't have any, besides a touch of disdain. It was Mrs. Kent that thawed him once again. "No, she just wants the whole story. She'll be worried I'm about to run off and never come back, or so rarely that it might as well be never. Like their last kid. I reassure her that we aren't running off to Metropolis or, I guess Gotham, and she'll be fine." He took it all in good humor, chuckling at the thought. They just didn't want him to disappear on them. "Which is what brings me to the idea that maybe I ought to hang out, do some work on that loft. They don't keep animals anymore, I could finish it up, make it livable, get it zoned, and make it so they could offer it up to Metas as an apartment. Once I move on, which I suppose will happen eventually. What do you think?" Artemis frowned slightly, her head cocked to one side. 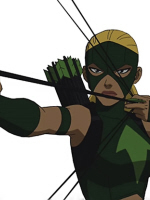 Conner had been hurt by M'Gann, really hurt, and, despite the fact that Artemis had been friends with both of them, she had taken Conner's side. Maybe not in public, but she had made sure that Conner had known that he had her support. "I guess we'd better hope she doesn't make a scene," she said, taking a sip of her chocolate. While, a few years ago at least, she would have squared up to her and told her to bring it on, since Wally's death Artemis had become far more introspective. She slid a hand onto his knee and squeezed. It was obvious that Conner loved the Kents, and who could blame him? They had welcomed him as though he was their own son, and given him a purpose outside of the Team. They were really the closest thing to family he had ever known. "Well, if I can help persuade Mrs Kent that I'm not going to get you into trouble, or coerce you into running off, just say the word," she grinned. Her eyes sparkled with mischief. "Maybe they would want to meet my mom?" Not a serious suggestion, not at all, but a comment designed to make Conner panic, just for a moment, before the look of exquisite realisation when he worked out she was teasing him. She listened as he explained his plans for the loft, as and when he moved on. "Sounds good," she said, pondering his words for a moment. "You thinking about moving on sometime soon?" And, if that was the case, she wondered where he was planning on going. "I... don't know what she would do. I'd just assumed nothing but now I'm realizing it could be anything. I never did figure out where she got a lot of her ideas about relationships but I had no basis of comparison so I just rolled with it." Conner seemed to consider it, nothing appeared to click, and then he just shrugged off the entire problem. Or lack of problem, maybe. M'Gann had always had very definite concepts about relationships, that much was for sure, but Conner had always just accepted whatever she thought was supposed to be happening. And so a whole lot of nothing had happened, aside from some stuff that could have been straight out of an advice column or Romantic Comedy genre movie. Though, Conner had to admit, the cookies had gotten pretty good after a while. Conner smirked at Artemis volunteering to help him with the Kents. "I have no doubts one of the first questions out of Martha will be something to the affect of 'when are you bringing her around so we can meet the girl?' And then I will have no rest until I do so." He chuckled fondly to himself. "I'll do the same for you, with your mom, if you want. And I'd be happy to tell your dad all about it, personally." Conner decided he'd have a good day dream about that latter conversation in the last few minutes before he willed himself to sleep next time. "No. I like it there, it's... peaceful. Open, but private. I can relax about my powers, talk to somebody who has a perspective of Superheroes and Kryptonian ones in particular that's absolutely unique. That's worth its weight, honestly." While Conner was talking about his situation with the Kents, living there and how he felt about the space they gave him while at the same time providing a closeness he hadn't gotten elsewhere until recently, a voice practically shouted in shock in Artemis' head. The fact that Conner didn't miss a beat was plenty of proof that he didn't hear it, but it was definitely ringing loud and clear in Artemis' skull space. "What are you doing?! Artemis! That's my boyfriend... I mean ex-boyfriend. You don't do that, your my friend and friends don't date the exes of their friends!" M'gan was standing on the other side of the cafeteria, framed in the doorway with Lagoon Boy standing beside her looking confused at the sudden stop. He hadn't managed to follow the Martian's line of sight far enough to tell what she was staring at in wide eyed shock. "Conner is off limits! Those are the rules, that's how it's supposed to work!" All of it, transmitted psychically but the green female directly to Artemis.